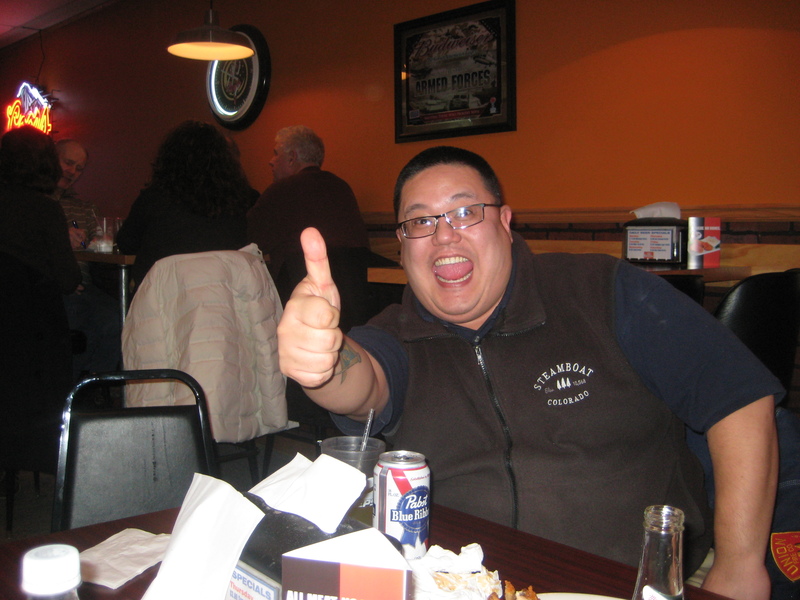 On January 20, 2012, the members of Ubar Grotto defied the weatherman and headed to The Tobacco Company in Hershey, PA, for their first ever Smoker. While the air outside was chilly, the atmosphere inside was warm and inviting, as the several Prophets met with five prospective members. The night started well, with the members enjoying a fine sample of cigars put together by the owner of the business. The event was also BYOB, so several of the members broke out their best beverages to share. 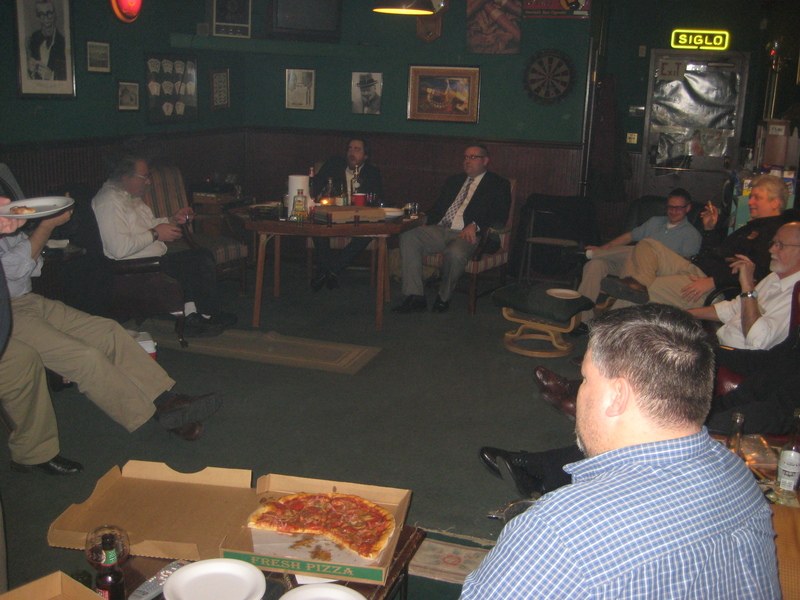 The fellowship was fantastic as everyone shared life stories and discussed what it means to be a Mason. Interesting tidbits include learning that Ed once ruled Grenada (at least in his own mind), George is bad at persuading people to play cards, and that several of our members share a deep interest in music. At some point during the get together it was suggested that we should get pizza. A collection was taken and it was decided that the “pledges” (propsective members) should be the one’s to walk next door and get it. They gladly obliged and the members were happy to indulge in three meat laden pies. Later, this adventure would prove extra fruitful as the those gathered decided to stop at the restaurant for a drink after the Smoker. Thanks go out to Brickhouse Pizza for their excellent service and warm welcome to our impromptu pow wow. If you missed this event, we are already planning more Smokers in the future, so stay tuned! More pictures from this event are available on the Ubar Grotto Facebook. Check them out!